Last week I had a neat experience in speaking to a group of agronomists from China about Extension. They are in the U.S. for 10 days and are interested in high yield corn production. I scrapped the presentation I had been asked to present as they had so many questions about our Extension system. So we started in a discussion…how do we set up a field day/meeting in Extension? How do we let farmers know about them? How do we decide what to talk about? Thus ensued a discussion of farming in China vs. farming in Nebraska. 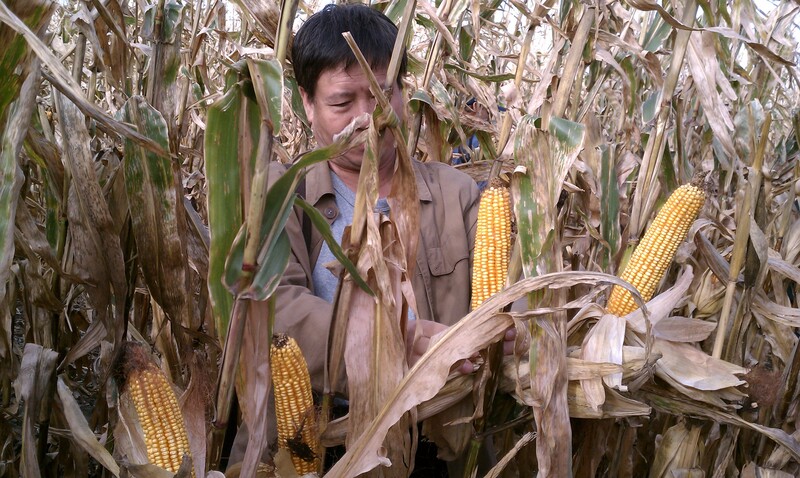 In China, many of the fields are hand-planted and less than 10% of their farmers have internet connectivity. In Nebraska, we’re seeing the trend of larger equipment and the majority of our farmers are connected to the internet. I suggested that they start with field days and meetings which shared the research-based information they are generating at their research sites. Advertise to farmers via word of mouth, radio, newspapers, direct mailings, or brochures/flyers left at common gathering spots. Once they have the people at the meetings, they can follow up with a survey to determine needs assessment for what the farmers would like to know more about in the future to determine future meeting topics. Extension in Nebraska has greatly changed in my 7 years regarding how we share information. We are challenged today to reach a broad audience who on one hand primarily finds information from newspapers to the other hand, primarily from the Web-and everywhere in between! This year, I’ve worked at trying to share the same information 7 different ways to reach a broader audience. 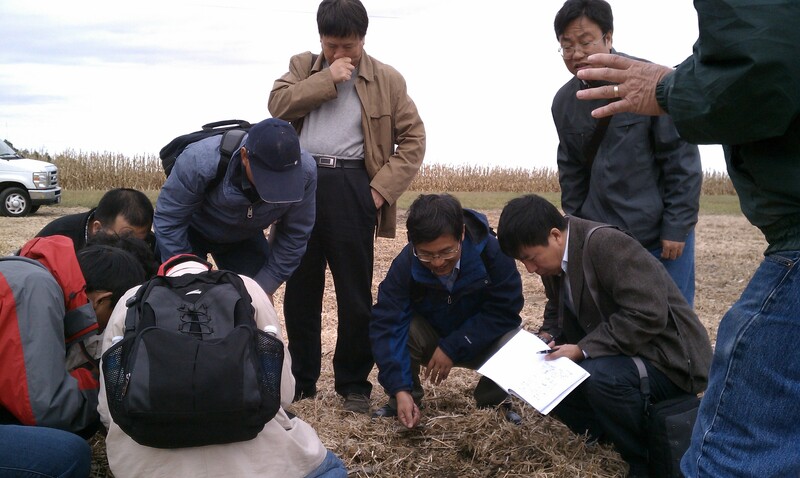 I showed the agronomists from China the impact of the Web and social media in sharing information in Nebraska. They were amazed! We then went on a tour where they were able to view harvest. It was fascinating watching them excitedly discuss and question no-till farming as they were digging through residue and in the soil. They also predicted corn yields by measuring and counting and comparing that to the combine yield monitor. 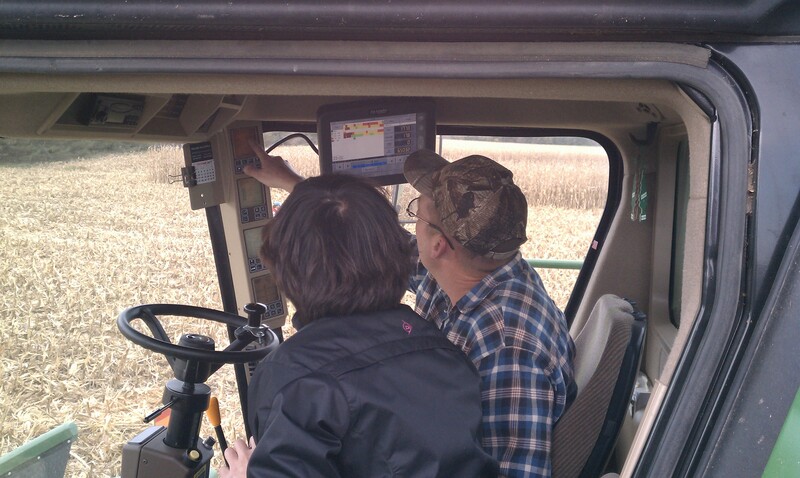 Some enjoyed getting into the combines and learning about the precision ag tools available to farmers. It was a neat experience and I learned much from our visitors as well! Posted on October 20, 2011, in Event, International agriculture and tagged Agronomy, corn, Extension, harvest, International agriculture. Bookmark the permalink. Leave a comment.